Do you like to shop for shoes in San Diego? Would you rather have one pair of long lasting shoes or two pairs of lower quality shoes at the same price? San Diego drivers should also think about the safety aspect of tires. The tires do a lot of work – they carry the weight of the vehicle and you and your passengers. You want to be sure they hold the road and provide good traction on CA freeways and surface streets. If you carry heavy loads or tow a trailer on CA highways, the tires need a high load rating. The same principle applies to tires. 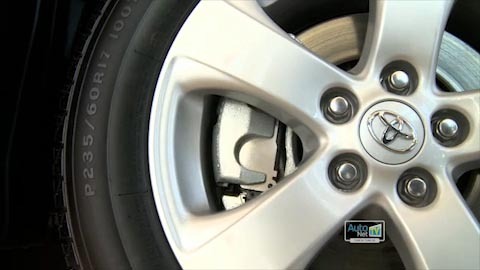 The major tire brands that you're familiar with in San Diego are known as Tier 1 tires. These tires are high quality and well-engineered. Comparable vehicle Tier 1 tires are usually priced similarly. Stepping down, you come to private label tires. Some large CA tire store chains carry tires with their own brand. It's important to know that most private label tires are built by the same Tier 1 companies that you are familiar with – so you are pretty safe in choosing them. To be sure, you can ask your Pacific Highway Auto Repair tire professional which manufacturer makes their private brand. The lowest priced tires on the market in San Diego are Tier 3 tires which are usually imported from China or South America. Since you get what you pay for, you can't expect a Tier 3 tire to deliver the same performance and durability as the others. What's the difference in the tires with high mileage warranties? It's the rubber compounds and the amount of tread material. As you might expect, you'll pay more for the longer-lasting tire. Your tires are the only parts of your vehicle that touch the road. You're only as safe as your tires are well built. Buy value – not price.